5,000 lb. capacity evenly distributed. Constructed for heavy industrial loads. Made of extra heavy 12 gauge steel with reinforced shelves for great support. 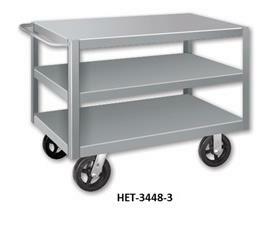 All units stand 36"H with 10" floor clearance. 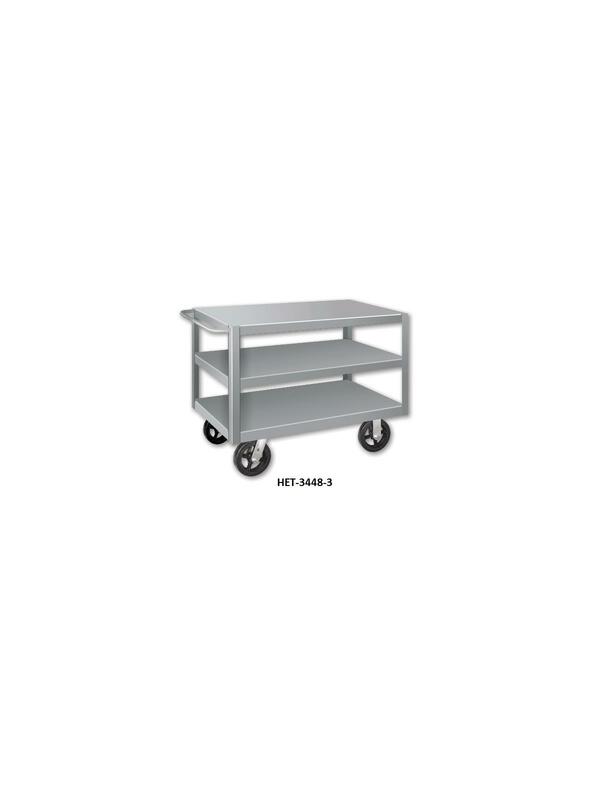 9-5/8" shelf clearance on 3 shelf units, 21" on 2 shelf units. Equipped with 2 rigid, 2 swivel 8" x 2-1/2 " phenolic casters. FOB Shipping Point. 28 x 72 x 36"28 72 36"